Thanks to doctors at Geisinger Medical Center in Danville, PA and American Airlines, three-year old Heysi received the necessary surgery to allow her to lead a normal life. In 2011, Heysi was diagnosed with a brain tumor. In technical terms, it was a cranial anomaly that developed into an encephalocele. This rare condition, where the bones of the skull don’t completely close and brain tissue and cerebral spinal tissue protrude, causes a swelling under the skin. Left untreated, pressure on the optic nerve can cause blindness. 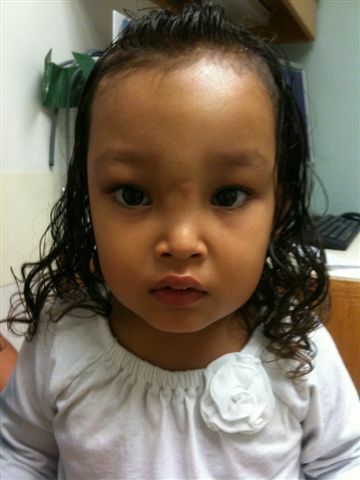 Heysi’s mother, Karla, brought her to the Manos Amigas clinic in August 2011 where she was seen by doctors from the Geisinger Medical Center brigade. 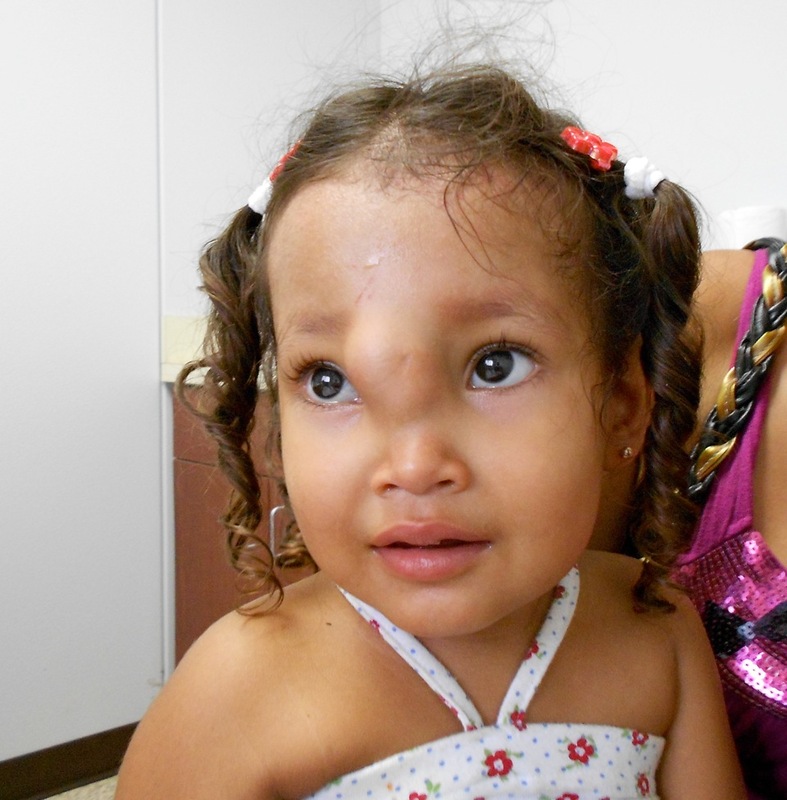 Surgery for this serious condition was not available for Heysi in Honduras. The Geisinger doctors felt that surgery could be done if Heysi could be brought to the United States. That set things in motion with Serving at the Crossroads working over the next several months to pave the way for Heysi and her mother to come to the States for the surgery. Her pathway to the U.S. was not without hurdles — there were interviews, meetings, letters and phone calls to obtain the necessary documentation, administrative approvals and medical skill sets to enable this surgery to take place. But, in the end, we were successful. Geisinger Medical Center provided the operating room and medical staff. American Airlines provided airline tickets for Heysi and her mother to fly to the U.S. in December 2011. Bob Sumner and Pete Thompson of Serving at the Crossroads and Dorothy Johnson of Geisinger Medical Center greeted Heysi and Karla at Philadelphia airport. They traveled on the next day to Danville where they met the team of doctors. Heysi did not miss a beat...she was inquisitive, eyes darting around her strange surroundings in the US and she quickly warmed up to those who offered a quick smile and attended to her needs. Warm hearts can transcend any language barrier. The surgery was successful and ten days after surgery, Heysi and Karla boarded a plane back to Honduras. Heysi was all smiles and able to look forward to a bright future. Her parents expressed much gratitude for her surgery and to all of the families who provided gifts and helped make this a truly festive season for them. Serving at the Crossroads President, Bob Sumner, saw Heysi in Honduras 6 weeks after her surgery. She had returned to the clinic—this time to see the dentist.